One of the leading causes for personal injuries in Oakville is motorcycle accidents. The major reason is lack of air bags, seatbelts and other safety covers and devices. That is why riders usually receive catastrophic injuries when they are in an accident with a car or other heavy vehicles. The experts say that there are no minor motorcycle accidents as most of the injuries suffered by the rider include brain and spinal injuries, orthopedic injuries, fractures and limb amputations. Oftentimes, the injuries turn out to be fatal. Immediate medical assistance is imperative, but regardless of the type of injury sustained, it is possible that not all signs and symptoms of the injuries surface instantly. At AG Injury Law Office, we understand the immense challenges faced by motorcycle accident victims and the stress that ripples down to their families. That is why we work to ensure that all settlements protect your interests and we help to get you justice. As you work on putting your life back together after the devastating accident, our team of legal professionals and injury lawyers, work to pursue maximum compensation that you rightly deserve. One of the most common reasons is negligence of the vehicle driver. Usually, the vehicle drivers fail to notice the high speed motorcycle and their right of way is violated, which causes the accident. Other reasons for the accident include limited visibility due to weather conditions or obstruction in the line of vision, road hazards and parked vehicles are other reasons for an accident. Sometimes, the motorcycle riders are responsible for the collisions or for causing accidents where others were injured. As per the Canadian law, motorcyclists that were injured in accidents due to the carelessness or negligence of the other driver are within their legal rights to seek compensation for the damages. Our lawyers at AG Injury Law Office in Oakville are experts and highly experienced at helping personal injury victims bring on negligence suits and injury claim for compensation that stem from motorcycle accidents. As a victim, if you have been denied a claim, our lawyers would be the difference between getting maximum compensation and having to pay the bills on your own. The personal injury claim that we can help you file after the motorcycle accident will help you cover loss of income, loss of consortium, pain and suffering, medical expenses, cost of future rehabilitation and surgeries, if needed. In many cases, where long term disability has been confirmed, care giving services are paid for, within the compensatory amount. You need to know that under the tort laws in Ontario, you are eligible to get accident benefits, irrespective of short term or long term injuries that you suffer. 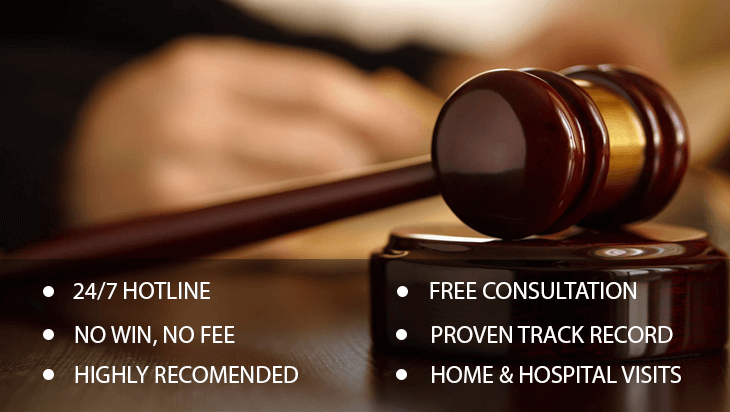 However, the main reason that you need a lawyer to represent your rights is due to the fact that insurance companies do not hand over the compensatory amount on a platter. Instead they try to deny your claim or lowball you into accepting a lower amount. They have an aggressive team of lawyers that try to pressurize the accident victims to accept the unreasonable claims. However, we understand how the insurance industry works and that is why we are here to protect your rights. At AG Injury Law Office, we have brought about millions of dollars’ worth of settlements for our clients and can be of assistance in your case. Call our Oakville office today for more information or to schedule an appointment to consult one of the lawyers about your case.